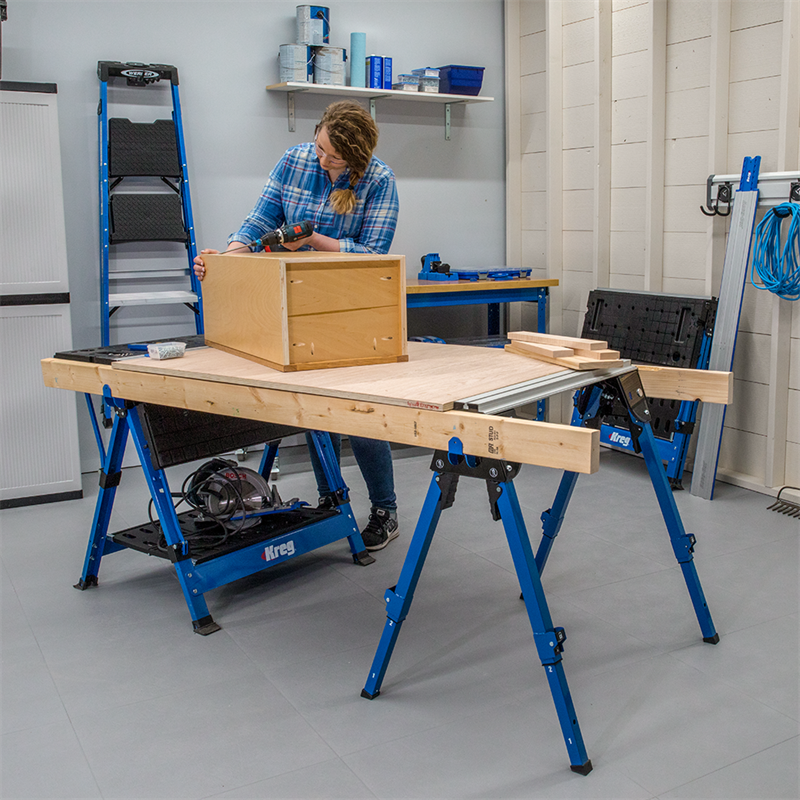 Since ancient times, the humble sawhorse has been offering a stable yet portable way to support a variety of projects for the professional builder and causal hobbyist alike. 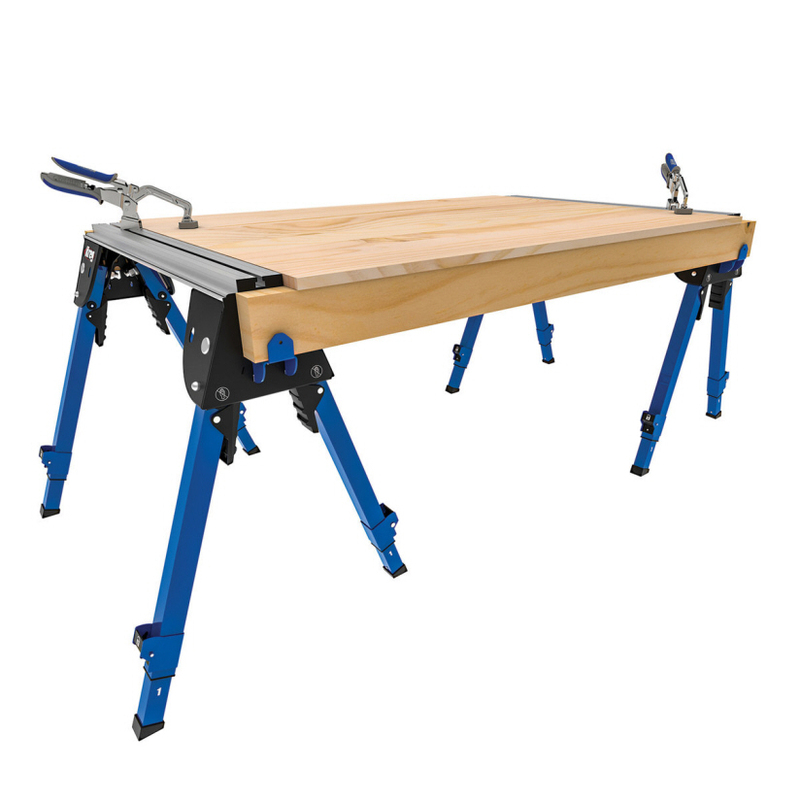 Every project is unique, and each user requires a slightly different use of the sawhorse to support the task at hand. 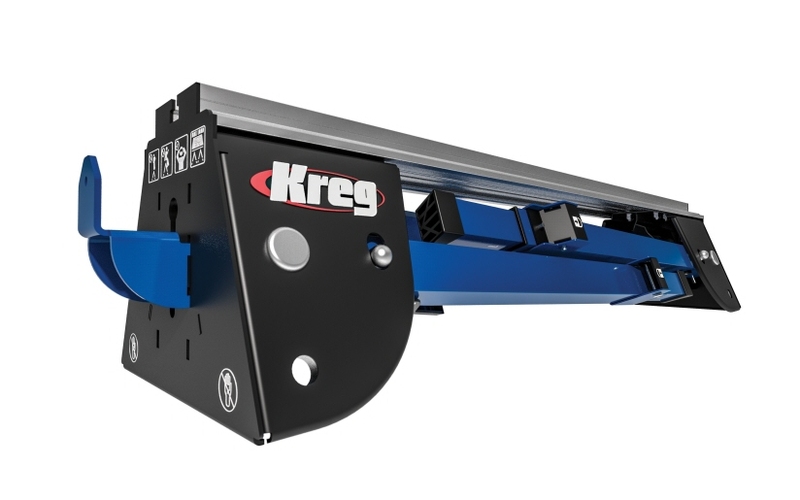 With this in mind, the Kreg Track Horse® was designed to offer unprecedented versatility beyond the capabilities of an ordinary sawhorse with portable durability. All metal construction makes the Trak Horse a sturdy work support to make any place your workspace. 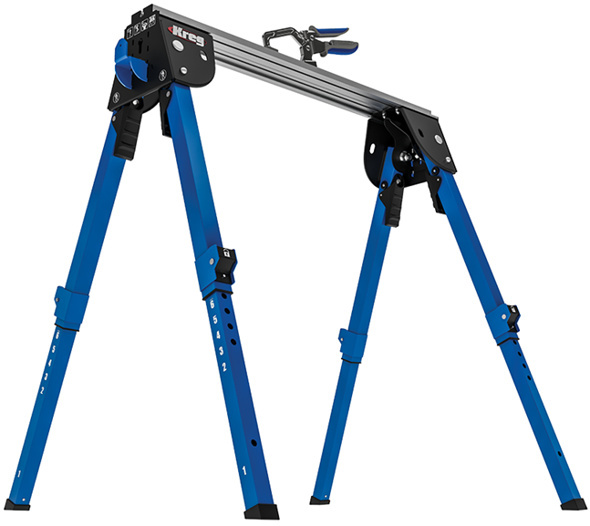 Packed with versatile features, the Track Horse has capabilities beyond an ordinary sawhorse. The design of the Track Horse® impresses its versatility and durability through its innovative slotted-track aluminum support beam. The Steel and aluminum construction make the Track Horse sturdy and gives it a capacity of 2,200 lbs. (997 kg) per pair, so it can handle large, heavy projects and materials with ease. 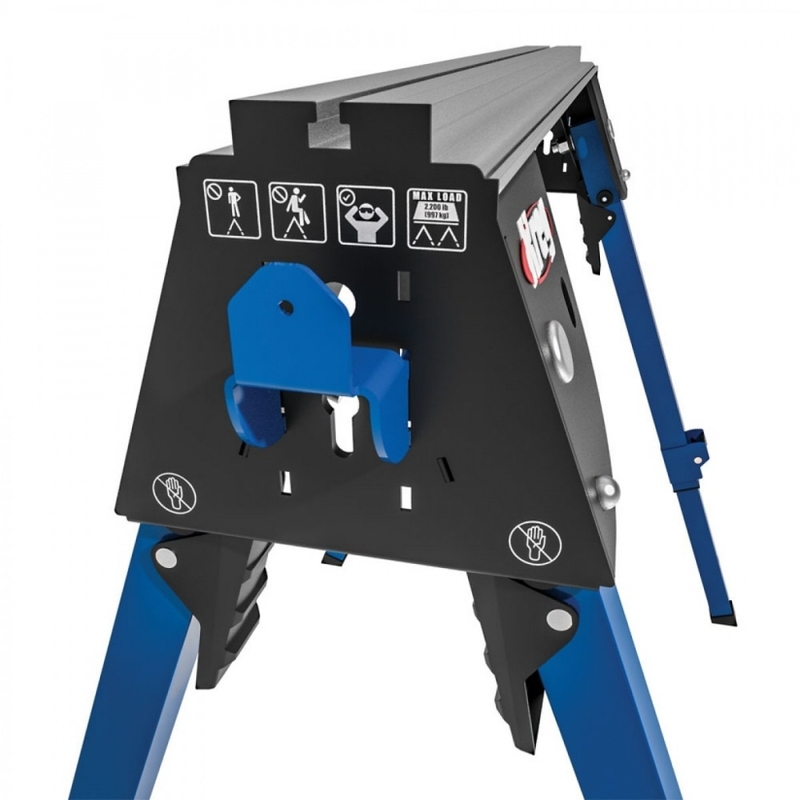 The backbone of the Track Horse is the innovative and highly versatile slotted beam which is compatible with a variety of Kreg tools and clamps such as the Automaxx® self-adjusting clamp which allows users to quickly secure things anywhere along the beam. The design of the slotted beam is designed to express precision and durability, while the geometric legs emphasize its rugged durability. 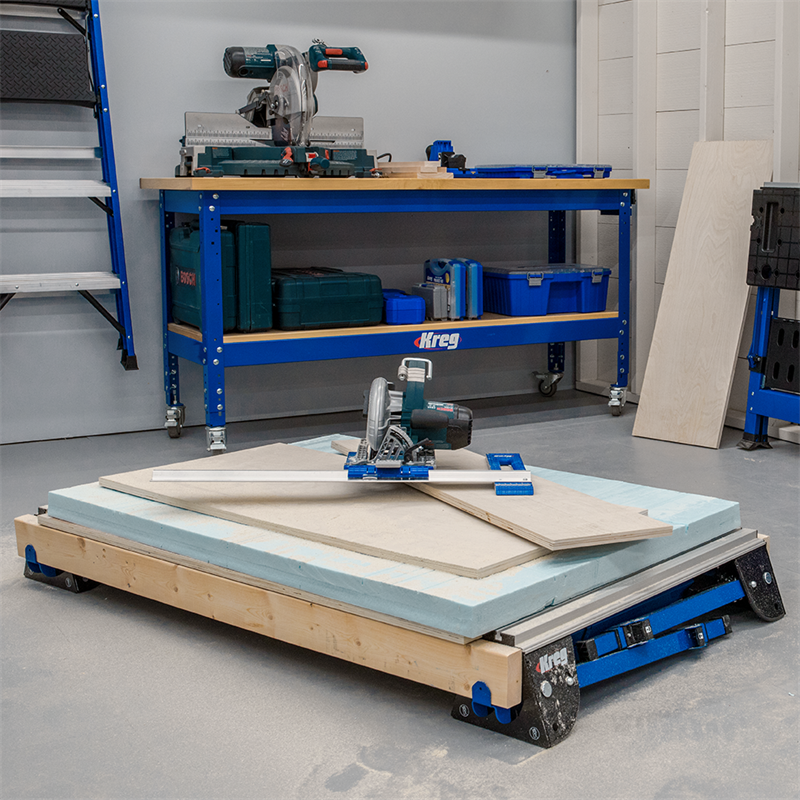 When more cutting space is needed, you can pair with another Kreg Track Horse or the Kreg Mobile Project Center to create a large cutting platform. Or set up an extra-large work table just as easily. 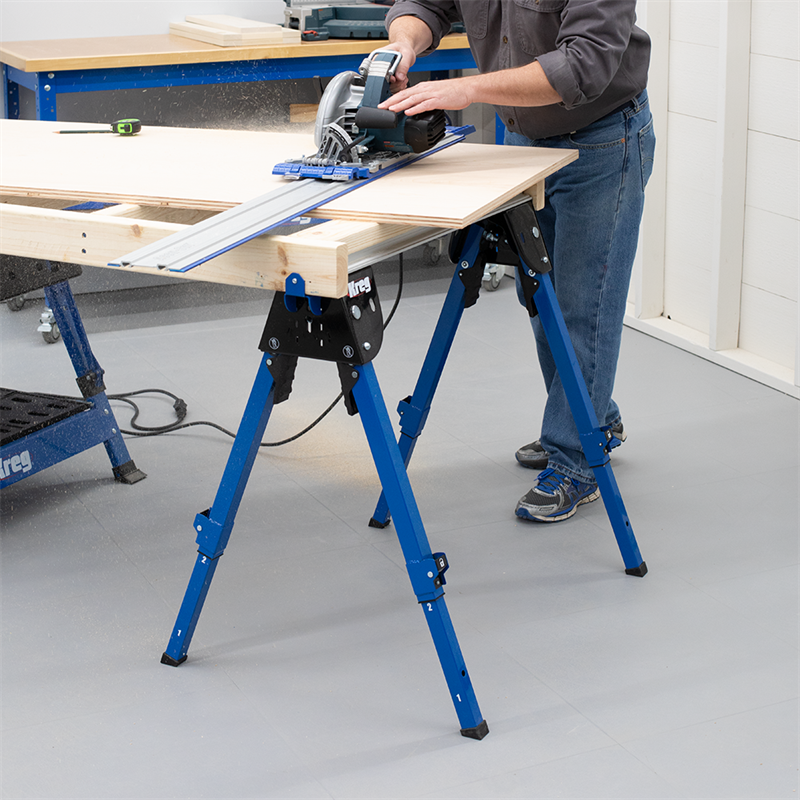 Adjustable legs feature six working heights to match any task. The legs also fold completely away. This allows using the Track Horse as a ground-level work platform and allows the Track Horse to be transported easily to wherever you need it, and to be stored compactly away.